Lynx have over 20 years of experience handling seismic data from around the world. 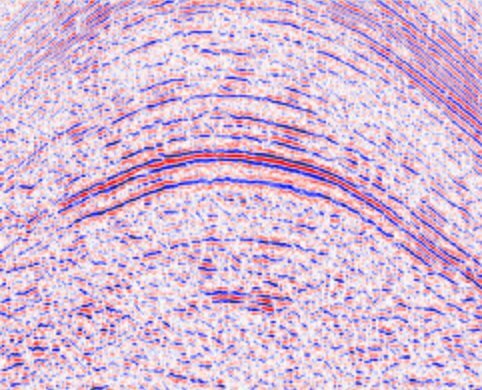 Our in-house vectorizing teams in Houston and London can help you to exploit the full potential of your paper archives of seismic data. We can scan and vectorize hard-copy seismic sections and shotpoint basemaps, and convert them into industry-standard exchange formats SEG-Y and SEG-P1/UKOOA. 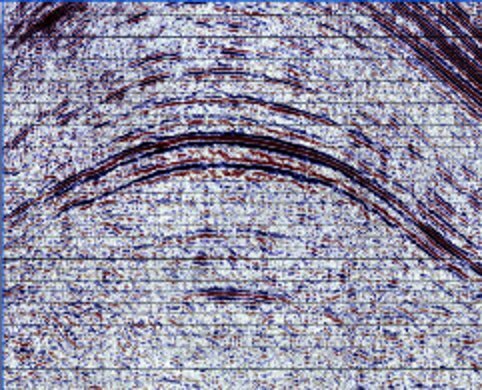 Once in digital format, your seismic data can be conveniently loaded to interpretation workstations for detailed review, interpretation and analysis. Lynx seismic vectorizing will convert paper seismic sections and basemaps into industry-standard exchange formats SEG-Y and UKOOA/SEG-P1. Our unique seismic vectorization algorithms have been developed to work with all the common seismic display types. Scanning of hard-copy seismic sections (paper, film or microfiche) - black & white, greyscale or colour - with our full-scale A0-sized (40") scanners. 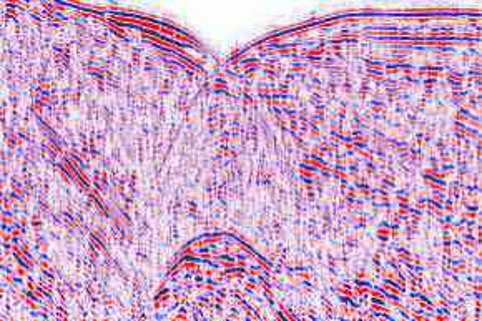 Image editing - removal of seismic interpretation prior to vectorizing. Vectorization - a number of trace-tracking algorithms can be selected, depending on the character and display type of the original seismic traces. Post-stack processing - bandpass and time-variant filters, deconvolution, dip filters. Post-stack migration - Kirchhoff or Finite Difference. 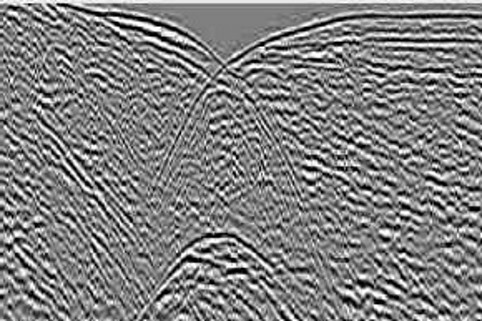 Curve capture - digitize elevations or field statics from seismic scans. Velocity tables - capture the stacking velocities from the seismic scans. Re-projection of seismic location data to your preferred coordinate system. Reconciliation - insert the XY coordinates into the seismic trace headers. Static shift - match the datums between different surveys. Data Delivery - by FTP, DVD/CD-ROM or tape (3590 or 8mm). Contact us to get a quote for vectorizing your seismic data, or digitizing your seismic basemaps. 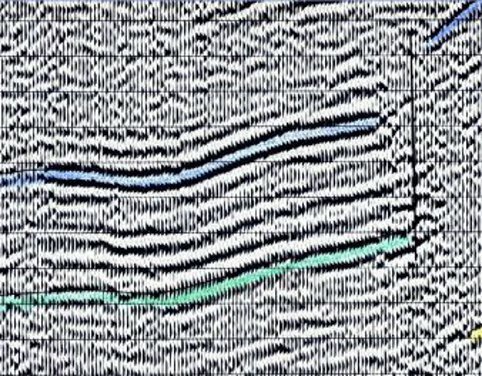 Our experienced vectorizing teams can regenerate accurate digital seismic data from scanned seismic images using our LEASSV vectorizing software, which reconstructs the output seismic data progressively trace by trace. However, the vectorizing service involves more than just curve tracking. These additional stages ensure that the digital seismic data you receive back from us is accurate and of the highest standard possible. Many of the vintage paper seismic that we scan have horizons, faults and notes in pencil, crayon or pen. 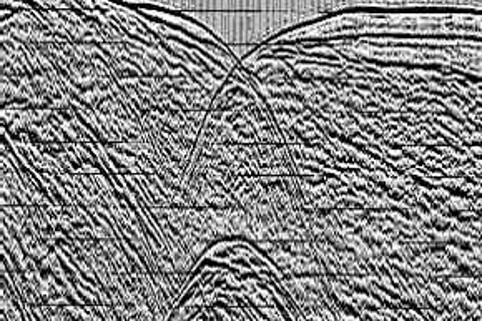 These interpretation marks can often be removed after scanning by applying a colour filter, but if the seismic section uses a colour display mode, or if horizons or faults are drawn in black pen, then automatic removal is more difficult, and manual image editing must be used to remove the interpretation without destroying the underlying seismic events which provided the initial basis for the interpretation. Perfectly rectangular hard-copy seismic sections are a rarity. Sections may have been reproduced multiple times, or spliced together from separate line-parts and re-printed. Lynx vectorising software allows the user to accurately calibrate the image using a Delauney triangulation, to account for discontinuities and distortions in the image, to ensure that the trace-tracking and reconstruction follows the traces on the scanned image. Timing lines are essential on printed seismic sections, but the vectorizing process must remove them, to avoid generating spurious horizontal events in the output digital seismic data. 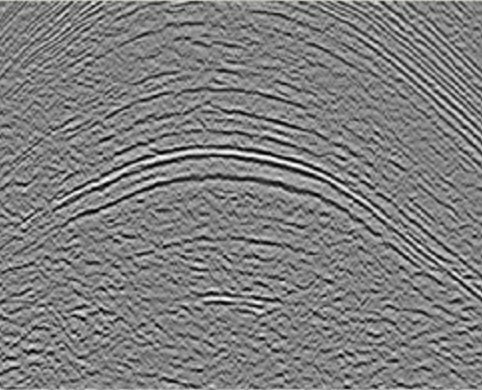 Lynx vectorizing software predicts timing line locations (taking the underlying image calibration into account), and reconstructs the trace underneath the timing line event with reference to dipping events encountered on adjacent traces. 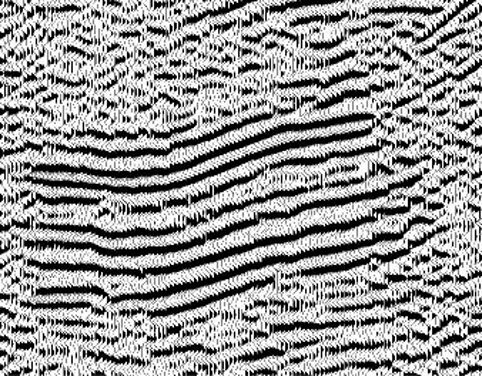 Modern processing techniques can dramatically improve the quality and signal-to-noise ratio of seismic lines originally shot and processed in the 1960s and 70s. After vectorizing, we can apply additional post-stack processing to enhance the seismic data, or to improve its fit with your existing digital seismic data in the same area. Processing can include - predictive deconvolution, additional time-variant filters, dip filters, migration, static shifts.